Hundreds of staff of Bahrain’s national carrier Gulf Air participated today in a special event held at the airline’s headquarters in Muharraq on the occasion of Bahrain Sports Day. A number of activities were hosted including football, basketball, table tennis, cricket and darts among many other fun sports activities. Gulf Air seized the opportunity to reiterate its commitment towards encouraging its staff to adopt a healthy lifestyle. 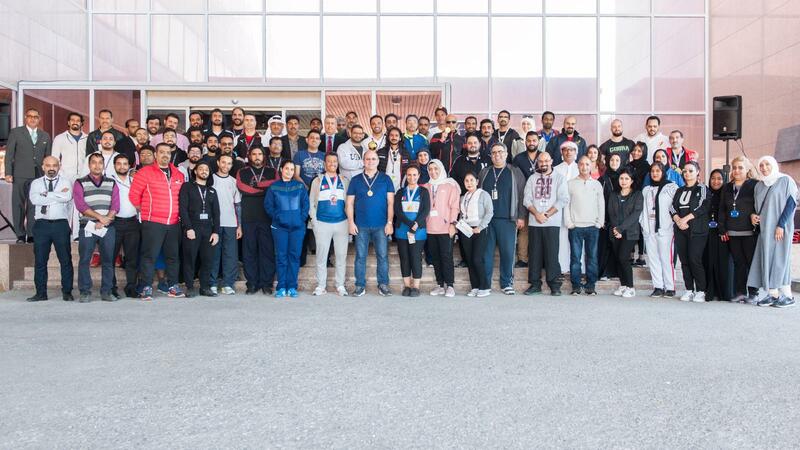 Bahrain Sports Day, organized by Bahrain Olympic Committee, was created to promote sports and health-enhancing physical activities in the Kingdom of Bahrain. This is in line with the resolution of the heads of the GCC Olympic Committees to designate a sports day during the second week of February.